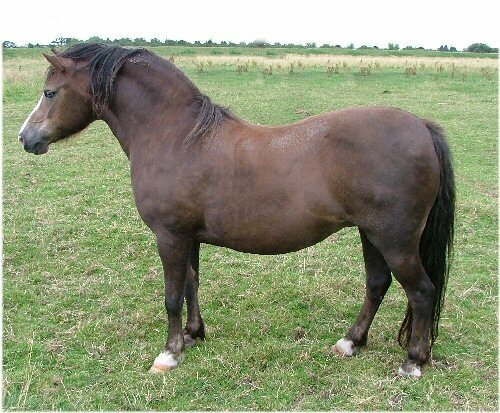 Dark Chestnut mare foaled in 1995 , proven broodmare and always foals easily and does her foals extremely well. 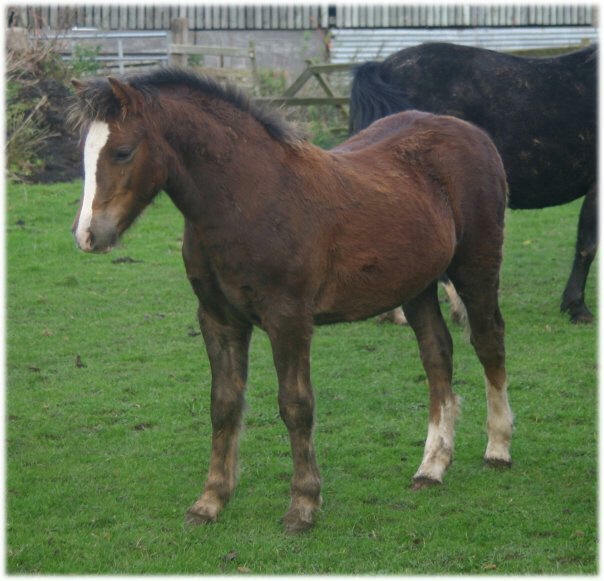 Both foals have been sold as potential show animals and we feel sure they will do very well indeed for their new owners. Friars Swanky Boy was the full brother to the legendary producers Friars Freelance and Golden Boy, and although Swanky Boy was not extensively used he produced the likes of this mare ! She has produced for us, Runshaw Cariadog now in Devon as a ridden pony and Runshaw Calonnog with the Colliers also as a future ridden pony to Churtoncroft Aries she produced a flashy chestnut colt names Runshaw Cadno and in 2009 she produced another lovely Chestnut colt called Runshaw Cadan by Friars Sheer Spirit who is now in Scotland with Runshaw Lucifer. A beautiful show quality filly with lovely bone , type and quality who has joined us by the kind generousity of the Waller family as a future Churtoncroft Aries wife. This elegant big moving filly has everything we were looking for in a future broodmare. 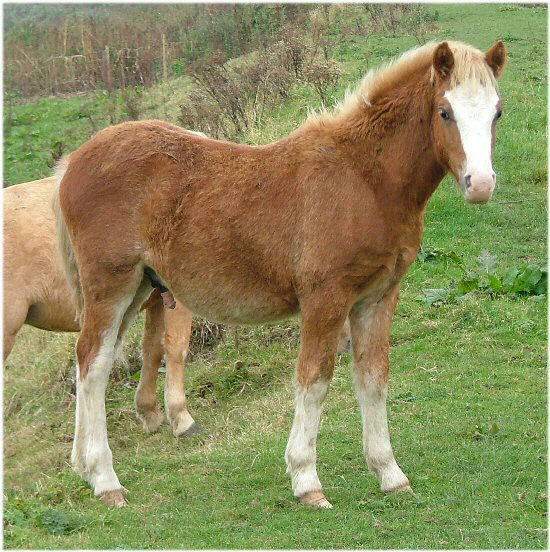 By the prolific stock getter Ringstead Candi and out of the beautiful Delami Stud foundation mare Idyllic Pebbles she is a hoped to be a fabulous asset to out breeding program in the future. Maternal half sister to the HOYS qualifier Delami D'Artagnon and paternal half sister to the well known Multi medal winning show stallion Rosegarth Pioneer and some beautiful mares at the Tamevalley Stud , prolific ridden ponies Pinina Sandpiper, Pinina Madoc, medal winning mare Pinfold Candy, and the very beautiful Ravenshead Sweet Sabrina among many others. This lovely young mare is now at the Telaid Stud with her sire. Bay colt foaled 2001, 4 whites and blaze. 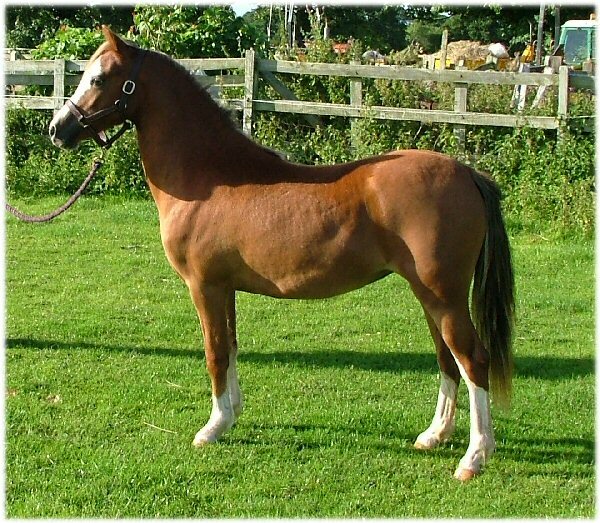 Future Show and Stud stallion by Coed Coch Atebiad and out of the beautiful mare Standwell Heidie . 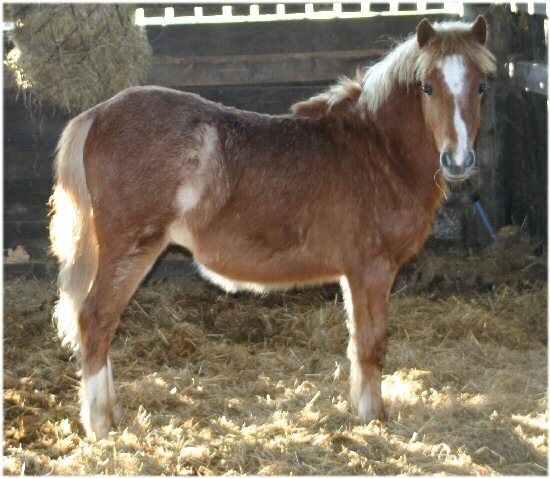 This little chap combines the blood of our best and most consistent ponies. 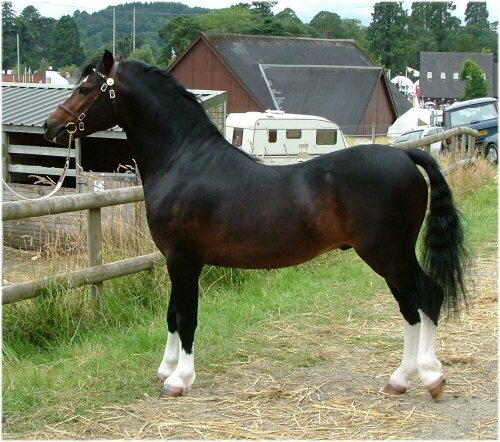 At 3 years old he attended the Royal Welsh show where he stood 10th in the 3 year old colt class. 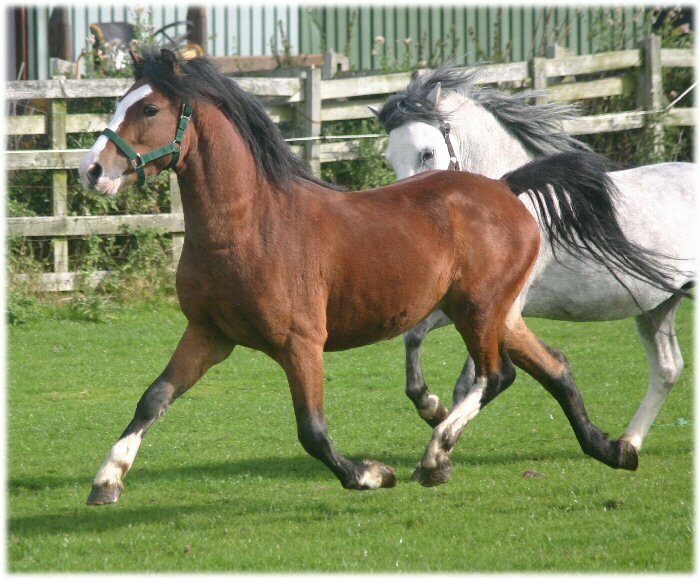 Out of the same mare as our 2009 Lampeter Champion Runshaw Heulwen! Click the link below to see a video of his tremendous action! Born at 1.20am on the 18th April 2006 by Churtoncroft Aries and out of Penwisg Helen a lovely big strong red bay colt with a broad blaze and 3 white socks! 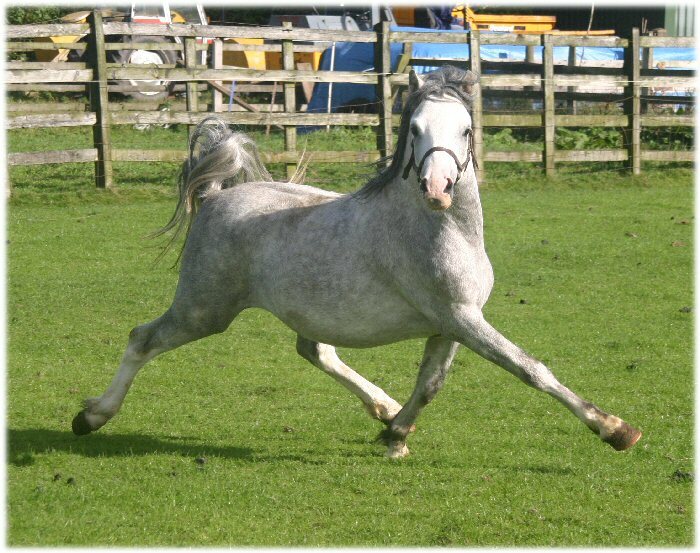 This really charming and very square colt foaled in 2007 is the first foal of our lovely homebred mare Runshaw Pelydrog and by Fosterhouses Supersam and whom he has a very striking resemblance to at the same age. As you can see at such an early age he has an abundance of bone, fabulous shoulder, tail set , lovely head and although currently very flashily marked dark palomino is going to go grey like his sire. 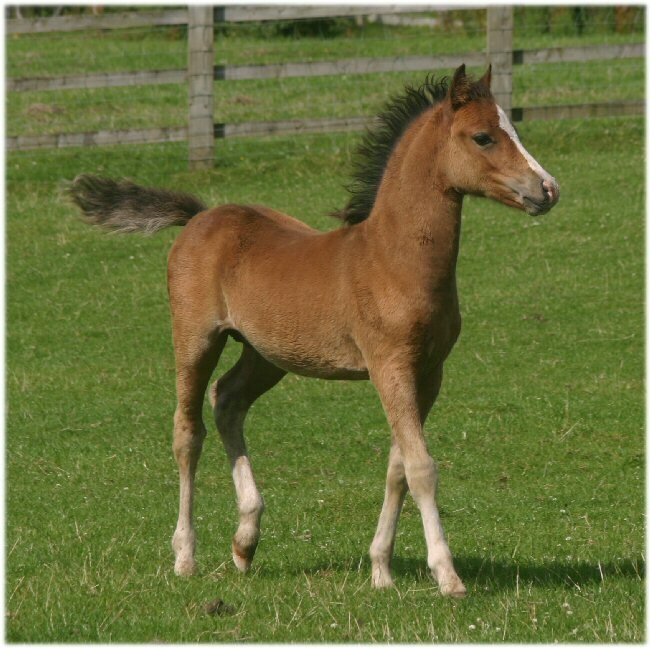 We feel he could be a real foal show contender and beyond and exciting future sire with his fabulous breeding and type and how can a judge have their eye caught by this handsome chap! SOLD to the TREVALYN STUD! 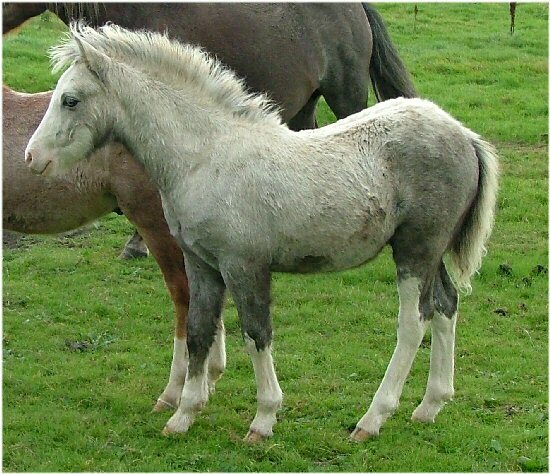 Grey (born Dun) filly foaled in 2000, 2 whites. 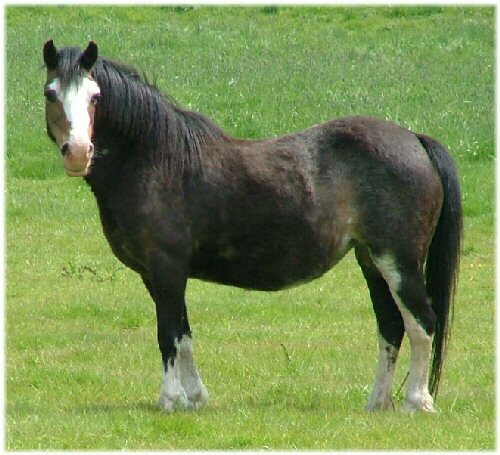 By our stallion Coed Coch Barnwr and out of Chetwynd Lily as above. She has her sires type, action and attitude and is one we thought we wouldn't get, but Barnwr blessed us with her and crikey is she the image of her sire!!! After much thought we decided to sell 'Penny' to the newly reformed Trevalyn Stud in Norfolk as part of their Coed Coch based stud. 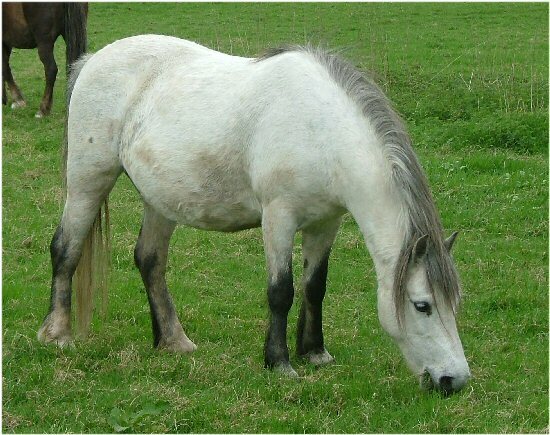 Sadly Penny is no longer at the stud and its with much regret that we sold her and due to circumstances beyond our control can't bring her home again. Sadly Hynod is no longer at the stud and its with much regret that we sold him and due to circumstances beyond our control can't bring him home again. Standwell Heidie has had the most fabulous chestnut colt foal at 4am 15th April 2007 , 4 whites and a blaze like his big sister Heulwen and with all the same attitude and too. He again has taken the best qualities of his sire and dam and already showing breath taking huge elevated action and a very exciting show /stud stallion of the future! Sadly Helfydd is no longer at the stud and its with much regret that we sold him and due to circumstances beyond our control can't bring him home again. Runshaw Heloise has had a lovely chestnut colt foal at 7am, 4 whites (2 pasterns in front, 2 socks behind) and a star and snip by Churtoncroft Aries . Big moving colt who has the most fabulous ground covering walk aswell as huge trot expressive trot and his sire fabulous front. 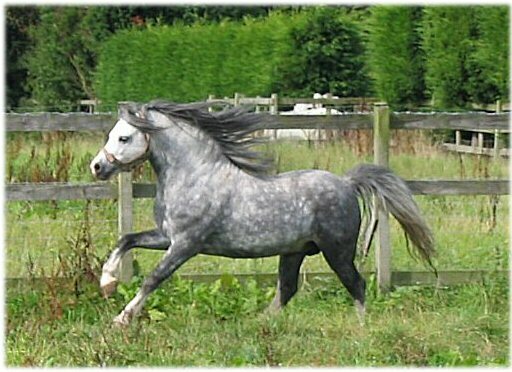 Helfydd oozes quality and is a superb in hand show and ridden stallion for the future with his type, action and colour. arrived at approx 7.30pm on 19th May! !